First impressions is that I love the design. It's so cute and romantic looking, and I love the gold shea butter in between the two hearts which really gives it that special feel. As far as scent goes, I neither loved this or hated it. It has quite a powdery floral scent to me, which I liked but compared to some of the other scents in the range, it wasn't exactly my favourite. 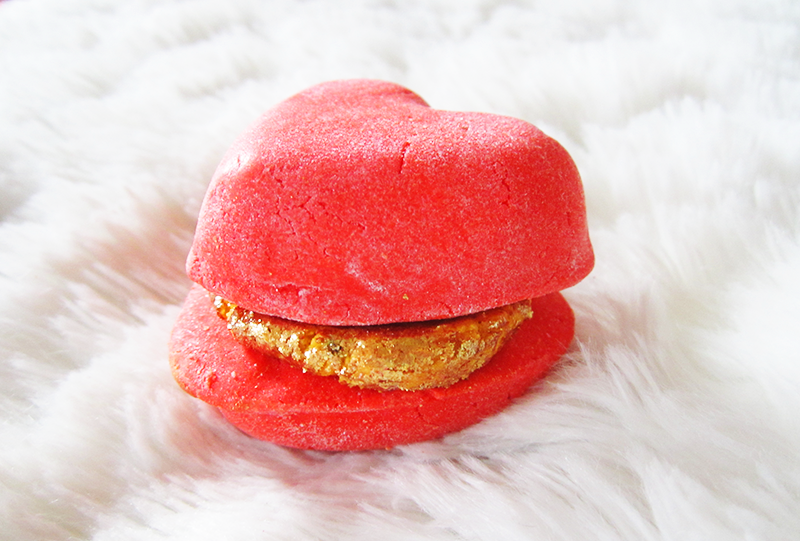 When using this bubble bar, I'd recommend breaking it in to two because you can easily get two baths from this! 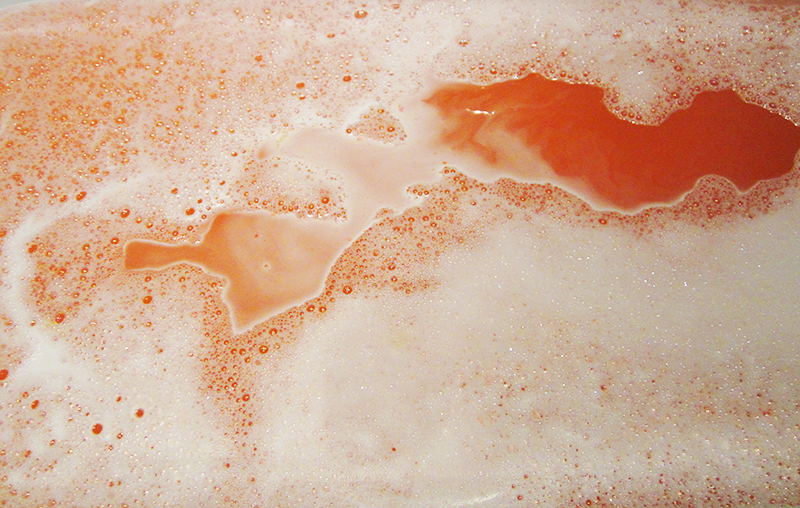 When you crumble this under your bath water, it produces a flurry of bubbles and turns your bath water a lovely orangey/red colour. But honestly I was a little disappointed with this one. Maybe my expectations were high, but I found myself a little underwhelmed by it. It does make your water fluffy and soft, but compared to some other bubble bars I've tried it didn't quite have that wow factor I've come to expect. Thank you for reading lovelies! Sorry about the slightly weird posting, two Lush reviews in a day? Whoops... I've had a pretty bad week with my internet connection (BT was being a mare) so my schedule is all over the place haha. Have a lovely rest of the week and let me know what you've been up to! This looks so cute such a shame it didn't live up to expectation. Yeah it was just a little underwhelming unfortunately! 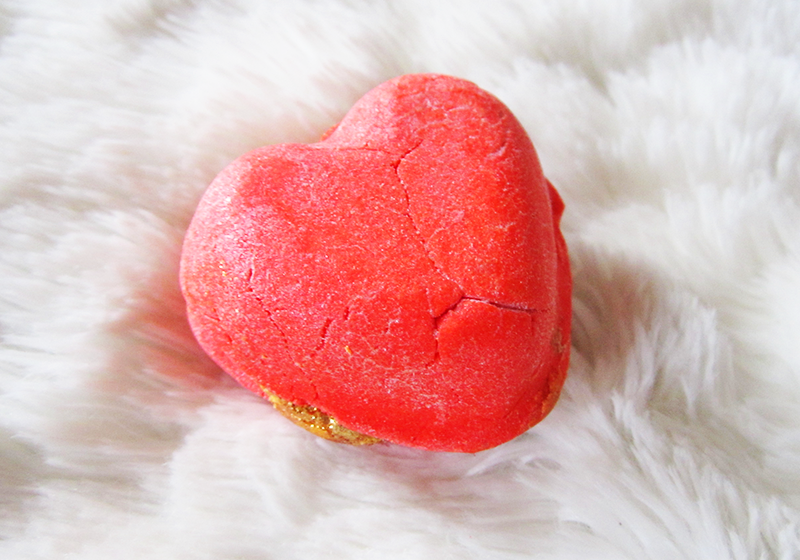 This is so cute, it has been a long time since I tried lush bubble bombs!They always come out with the cutest things! They really do, such an amazing brand! Yeah, it's definitely a shame but hopefully I get better luck with another one! I can't get it either way!